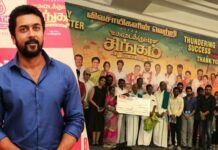 NGK Movie First look Poster: The Kollywood Hero Suriya’s upcoming flick NGK first look has been launched on the occasion of director Selvaraghavan’s birthday. 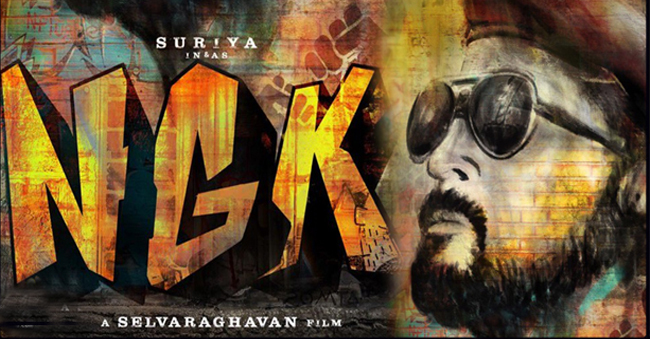 The NGK poster shows a wall covered in graffiti of Suriya, who is styled seemingly taking inspiration from prominent communist figure Che Guevara. Wearing a reddish beret cap, dark sunglasses and his head held high, Suriya gives the feel of a leader with vision. The wall also boasts of graffiti of clenched fists, which is the communist way of salute. Graffiti, a form of street art, is generally used to express dissent. And some countries see this street art as outright vandalism, defacing properties of public and individuals. It’s easily the most intriguing and aesthetically designed film poster to come out from the south so far. Going by it, NGK, while we still not sure what it stands for, is going to be high on socio-political issues. And it’s seldom we see a film made in Tamil that dwells on the idea of communalism.